NOTE: Large sound files may take time to open and play automatically. You can "right click" with "mouse" and "save link" to your computer "desktop;" then "click" to activate the file. Dad and I have always supported the Southern Baptist Convention. We both have strongly believed in the work of the Cooperative Program, the work of Foreign and Home Missions, and have always subscribed to the "Baptist Faith and Message." We have also believed the Bible is God's Word "from cover to cover," as is. We both preached using the King James Version. Dad, a graduate of Southwestern Baptist Theological Seminary, was an excellent student of the Word, used an "Expository" Preaching style, and was "fundamentalist," in the older use of the term, i.e., by staying close to the Scriptures. Dad and I had the opportunity to attend several Southern Baptist Pastor's Conferences and Convention's together. We also attended annual Association, State Baptist, and Virginia Baptist Evangelism Conferences. Here are some of the speakers we heard. Dr. Henry Franklin Paschall, Pastor, First Baptist Church, Nashville, TN. Jess Moody, Pastor, First Baptist Church, West Palm Beach, Florida. 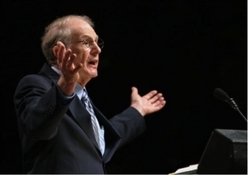 John Drakeford, Professor, Southwestern Baptist Theological Seminary, Fort Worth, TX. Manuel L. Scott, Pastor, Calvary Baptist Church, Los Angeles, California. Rev. John Bob Riddle, Pastor, Central Park Baptist Church, Birmingham, Alabama. John Newport, Professor of Philosophy of Religion, Southwestern Baptist Theological Seminary. Larry Walker, Minister at Large, Metropolitan New York Baptist Association. Vonda is an accomplished singer, author, ventriloquist, speaker and entertainer. She won the coveted crown of Miss America in 1965. 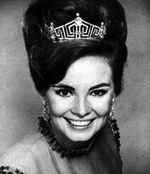 Vonda had several firsts as a winner of the Miss America Pageant. She was the first to appear on stage in talent competition as a ventriloquist, the first to speak of her faith on national television, and the first and only winner to be named Miss Congeniality. Following her reign, she launched a successful career as a singer, and wrote two of her books (one being a million seller) while completing her degree in radio-television at UCLA. After graduation she had three more books published, wrote magazine columns and recorded four albums. She is now retired, and living in Southern California. Eddie Lieberman, Evangelist, Greenville, S.C.
Dr. Cecil A. Ray, Cooperative Program and Church Finance Department of the Baptist General Convention of Texas; General Secretary-Treasurer of the Baptist State Convention of North Carolina; National Director of Planned Growth in Giving, Executive Committee of the Southern Baptist Convention. Rev. 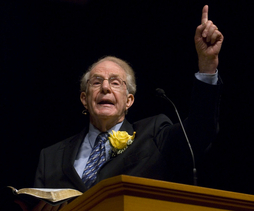 Clyde Fant, Jr., Former Pastor and Professor of Preaching, Southwestern Baptist Theological Seminary. Rev. Richard Harris served 29 years with the North American Mission Board and it's predecessor, the Home Mission Board, SBC. While attending Southwestern Baptist Theological Seminary, Fort Worth, Texas, Rev. Hughes was able to visit First Baptist Church, Dallas, Texas, and hear Dr. George W. Truett. I was given my middle name (Truett) after him. He was fortunate to have several 78rpm recordings of his sermons. Some are offered here. 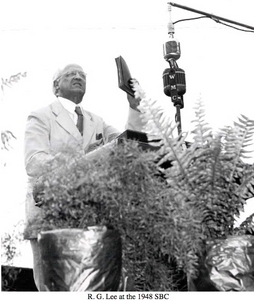 Dr. Robert Greene Lee (1886-1978) was another great Southern Baptist preacher whom Rev. Hughes admired and spoke with on several occasions. I also had the privilege of hearing him preach on many occasions. Some of his sermons are offered here from the public domain. “God-sent preacher” well describes Dr. Lee. Few in number are the Baptists who have never heard his most famous sermon, “Payday Someday!” If you haven’t heard it, or read it, surely you have heard some preacher make a favorable reference to it. “If you have not had the privilege of hearing Dr. Lee in person, I am sorry for you. The scholarly thoroughness, the wizardry of words, the lilt of poetic thought, the exalted idealism, the tender pathos, the practical application, the stern devotion to divine truth, the holy urgency in the preaching of a man called and anointed of God to preach and who must therefore preach, are never to be forgotten. The stately progression of his sermon to its logical end satisfies. The facial language, the alliterative statement, the powerful conviction mark Dr. Lee’s sermons. The scholarly gleaning of incident and illustration from the treasures of scholarly memory and library makes a rich feast for the hearer. The banquet table is spread with bread from many a grain field, honey distilled from the nectar of far-off exotic blossoms, sweetmeats from many a bake shop, strong meat from divers markets, and the whole board is garnished by posies from a thousand gardens. Dad and I both heard Dr. Olford preach. 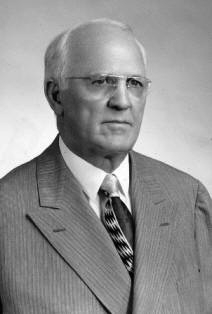 Stephen F. Olford was a 20th century Christian leader. In 1953, Dr. Stephen F. Olford's years of pastoral ministry began by serving the Duke Street Baptist Church in Richmond, Surrey, England (1953–1959) and then the Calvary Baptist Church in New York City (1959–1973). Billy Graham called him “the man who most influenced my ministry.” He was a personal confidant of Graham. Olford was also a role model and friend to prominent pastors such as Charles Stanley and Adrian Rogers. 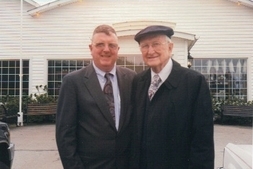 Dad and I heard Dr. Havner preach shortly before he passed on to be with the Lord. Before entering full-time evangelistic work, he was pastor of the oldest Baptist Church in the South, the First Baptist Church of Charleston, SC. Vance Havner’s educational resume included institutions such as Hog Hill School, South Fork Institute, Boiling Springs High School (which became Gardner-Webb College), Catawba College, Wake Forest University, and Moody Bible Institute. Billy Graham preached his funeral.